Disclosure: This blog contains affiliate links. Read our full disclosure HERE. We’ve all done them at least once. Some of us have done hundreds of them while playing sports in high school and loathe the thought of doing them again. I speak of course of push ups. Push ups are one of the simplest exercises you can do, and they are one of the easiest to do poorly. 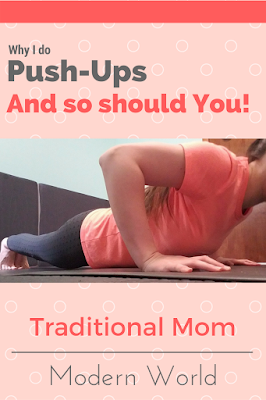 No matter what your fitness level you can reap the benefits of a good push up. Ever notice how a single exercise affects more than just one muscle? For instance, squats use the glutes, quadriceps, and lower back muscles. Push ups work the same way. The targeted muscle in a push up is the pectoral. Different variations work different parts of the pectoral. Doing a decline push up (putting your feet on a sturdy chair while your hands rest firmly on the ground) will work the upper part of the pectoral muscles. Aside from the main muscles, push ups also work the triceps and anterior deltoids (a fancy name for the front part of your shoulders). These two sets of muscles help to push your body back up. Your rotator cuff, abdominal, and quadriceps have important roles as well. They hold you in place. 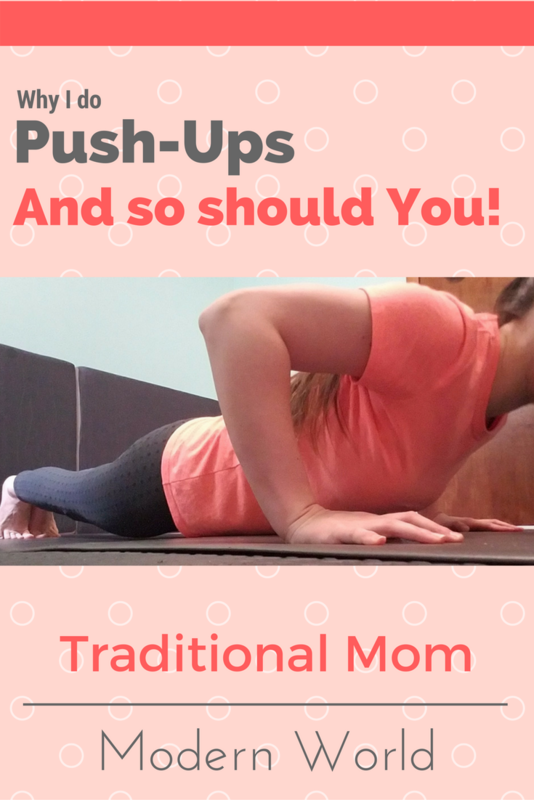 Why Do I Need Push Ups? I’m glad you asked! Here are several benefits of doing this common exercise. Well that one was a given. Push ups help strengthen your abs and back which can aid in good posture and thus reducing lower back pain. As your body moves, your muscles have to adjust to keep you from falling over. Those tiny adjustments teach your body balance. More balance = less injuries. The movement in your shoulders as you do push ups increases your flexibility in your shoulders. This is important because increased flexibility can help to relieve neck and shoulder aches. This benefit is mostly for the ladies. Pushups build up the pectorals which sit right behind our breasts. As these muscles get stronger, they will push the breast tissue outward and this results in a firmer chest. Your hands should be slightly wider than shoulder width. Don’t place them too high, this is a common mistake. It may help to start by placing them directly under your shoulders then moving them out slightly. Lower yourself down. Keep your body straight! Now the fun part, coming back up. As you push the floor away to raise your body, you might find that one side is stronger than the other, which will cause you to lean. Do your best to stay level. Congratulation! You’ve completed one perfectly pretty push up! Now do some more and make yourself a delicious protein shake ;) Here’s my push-ups for today! When you’re ready for some variety try a couple of these. Wife, Mommy, and Writer are three of the hats Shannon wears on a daily basis. Natural and holistic wellness is her passion. Diving into medical studies, reading long-winded books, and refitting them into information that is valuable to everyday life. © Copyright 2017 Traditional Mom, Modern World. Designed by Bloggertheme9 | Distributed By Gooyaabi Templates. Powered by Blogger.